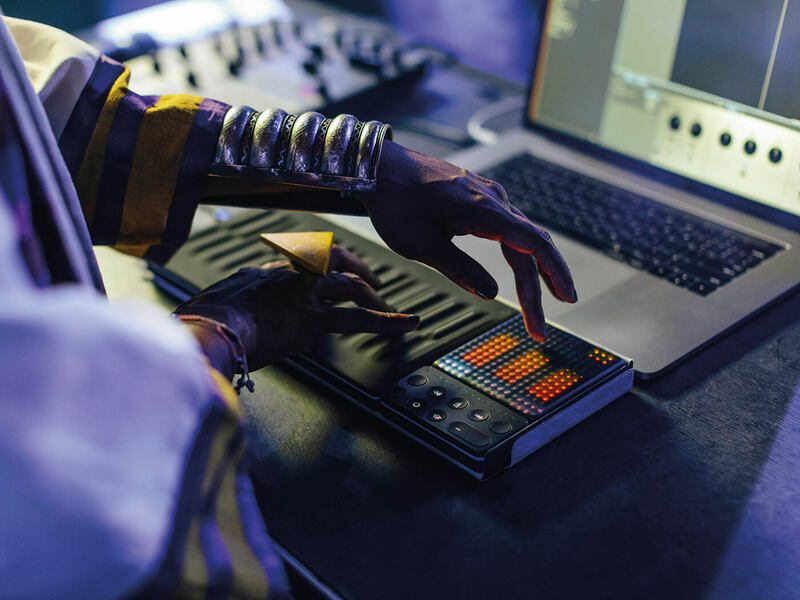 For those of you who are new to the ROLI universe, the company has been making waves by creating highly expressive hardware – Blocks – which connect five physical gestures to control over sound. Those 5D gestures (strike, press, glide, slide and lift) correlate to velocity, Z/aftertouch, X/pitchbend, Y/mod, and release velocity, respectively. Instead of sending typical MIDI messages, the Blocks sending MPE data which is similar to MIDI, but far more elaborate. To illustrate this, imagine you’re playing a chord on a regular MIDI keyboard and moving the pitch-bend wheel. The pitch of all of the keys you’ve pressed will move the same amount in the same direction. On an MPE controller, each key/voice can bend by its own amount, allowing for much more detailed expression and sonic potential. ROLI specialises in MPE (MIDI Polyphonic Expression) products and this is the crux of how the ROLI Blocks Kits work. Most of the hardware components in these Kits are evolutions of previous products, such as the various squidgy-note Seaboards, the first-generation Lightpad Block (which we’ve reviewed previously) and the Loop and Live Blocks, which are the same. Also, packages come with some ‘older’ software, such as Noise, Equator and the Blocks Dashboard, as well as some ‘newer’ software, such as Tracktion Waveform, Strobe2, Cypher2 and Melodics. Let’s take a look at what makes each kit distinct, followed by the components of each. Unboxing the Songmaker Kit is a pleasure in itself. ROLI does a really great job with packaging and its products always look, feel and smell like luxury. The three Blocks that form the Songmaker Kit snap together in a satisfying way, with an equally satisfying sound, and fit inside a custom case. The main physical components of the Songmaker Kit are a Seaboard Block and a Lightpad Block, both of which are 5D MPE controllers, as well as a Loop Block, which has transport and other editing functionality. Besides the physical product, you’re greeted with light documentation pointing you to the ROLI site for registration and next steps. Once you get your product registered, you’re able to download a truckload of software. In fact, there are so many software options that one of the biggest challenges is option paralysis – figuring out which software choices are the right ones for you takes a bit of time. 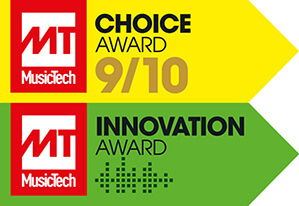 As far as these options go, well, you have access to Strobe2 and Cypher2, which are virtual instruments from FXpansion; Tracktion’s Waveform DAW; Ableton Live Lite, a truncated version of Live 10; Equator, which is ROLI’s soft synth initially created to work in tandem with its Seaboards, plus there are three-month subscriptions to both Melodics and Max MSP. Whew! You also get a year-long warranty and two USB-C charging cables. Besides the price, the thing that really makes this Kit distinct from the Beatmaker Kit is the Seaboard Block, and it is a verybig difference. You can play melodic and harmonic patterns on both the Seaboard and Lightpad Blocks, but the Seaboard Block really is something to behold. It has all the power of a Seaboard Rise, but in a very compact package. If you’re a keyboard player, or you prefer playing something that’s displaying music in a linear left-to-right fashion, this is the kit for you. Once you get the hang of performing with them, they look very impressive in action. When I created a short video for social media playing the Seaboard Block with Strobe2, it was met with more ‘fire’ emojis than my videos had ever received before, as well as comments such as: “Seriously cutting edge” and: “You just sold me on this.” Needless to say, it would be great for both the studio and the stage. 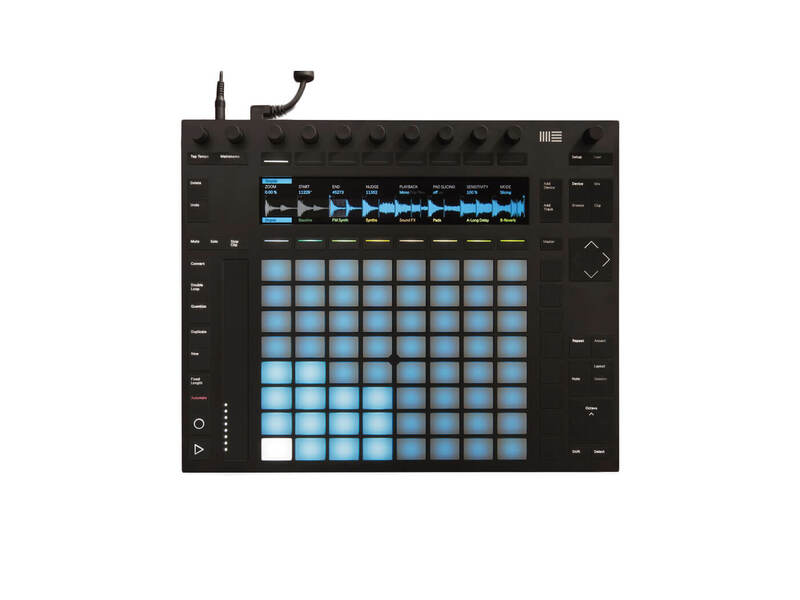 Turning our attention to the Beatmaker Kit, this includes the Lightpad Block and Loop Block, so you have one less playable MPE surface. The unboxing and registration experience is largely the same, however, making you want to get right to it so you can share pictures and videos online with your friends. This kit doesn’t come with a case, but is more portable and would fit right in your pocket. 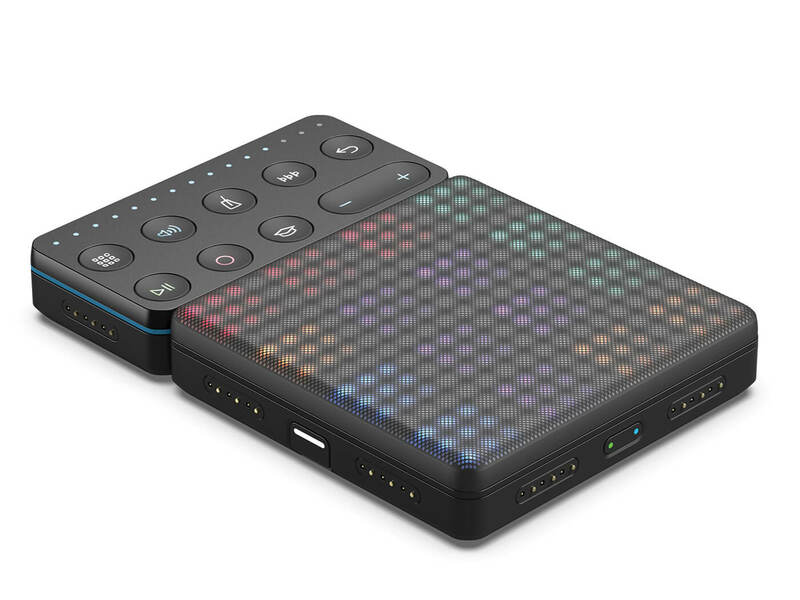 The Lightpad Block has so many possibilities, but the most obvious is to use it as a finger-drumming surface or as a grid controller, which will allow you to play music displayed on an X/Y axis. You can also set it up to do a number of other functions, such as display faders, launch/record/stop clips in Live, be an X/Y/Z pad, play a series of games, or anything you can program if you’re capable of writing your own script for it. So, attention programmers: there’s a lot of potential here! 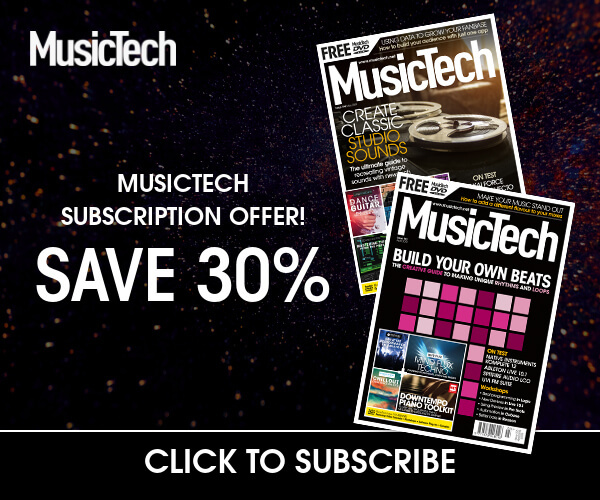 You get the same basic software package as the Songmaker Kit with the Beatmaker Kit, minus the month-long Max MSP 3 licence. Used as a finger-drumming surface, the Block presents a few challenges. There’s no clear demarcation as to where one pad ends and another begins, so it’s quite easy to mis-trigger samples. Also, when it’s displaying a 16-pad grid, each individual pad is pretty small, making accuracy something you have to practise to perfect. In addition to being cheaper, the real difference with this Kit is the Melodics integration, which gives you a six-month subscription, twice the amount of time you’re given with the other kit. Among its other uses, Melodics is a fantastic educational app that focuses on finger drumming and beatmaking, included to help newcomers get up and running with the Beatmaker Kit – using it quickly helps you develop a fun and playable relationship with the hardware. After having spent a month or so with the Blocks Kits, my overall verdict is they’re both very usable and a great asset to a creative musician’s arsenal; but that’s not to say they can’t be frustrating to use at times, depending on what it is you’re trying to do. ROLI does do a good job of trying to give you easy access to functionality which might seem very complex, but using them effectively can still involve a good deal of troubleshooting, updating and a general amount of figuring out. There’s an extra piece of software called the Blocks Dashboard, which you have to use to interface with the hardware, but once you know how everything communicates, then both Kits are, in a word, awesome. The way that ROLI has marketed the Blocks Kits gives off a very ‘Mac’-like perception, as if there’s a very low barrier to entry and everything just works. In reality, while it certainly does feel more like a ‘Mac’ product, there’s still a certain number of ‘PC’ characteristics in there as well, to strain the analogy. As a user, you do feel that internal friction of easy vs complex. 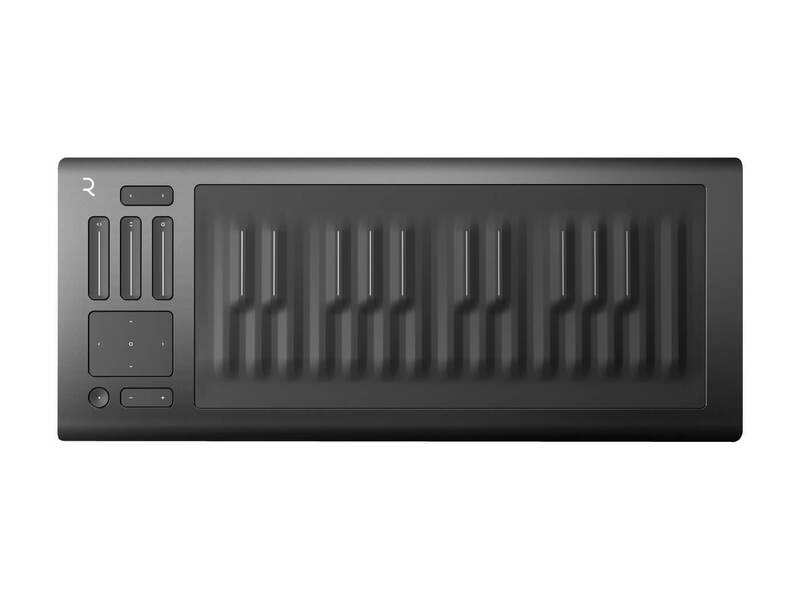 ROLI gives you the ability to make your own choices, but it’s not quite as straightforward as plug-and-play. The other issue is that there’s just so much great software that comes with each package that for newcomers, it could potentially be hard to know where to begin. This is a good problem to have and a frequent 21st-century woe. There’s an iOS app, three virtual instruments, games you can play, Melodics, two DAWs, and Max 7, so when you buy a Blocks Kit, you’re getting a lot more than just the hardware, you’re also gaining access to an entire tech culture. Without prior knowledge, deciding on the best options for you is difficult. So we’d say if all else fails, start with the Noise iOS app. All that aside, the ROLI Blocks Kits are truly stunning packages that make music technology even more expressive, tactile and human. This ethos is worth the fine-tuning and troubleshooting (and the money). The Blocks Kits look, sound and feel great. You might! If you’ve been thinking about diving into the world of MPE or want to get more expressive with your playing and sound design, then yes, you need this. If you’re a software and hardware addict who likes to have the newest and shiniest toys to play with, then you definitely need this. 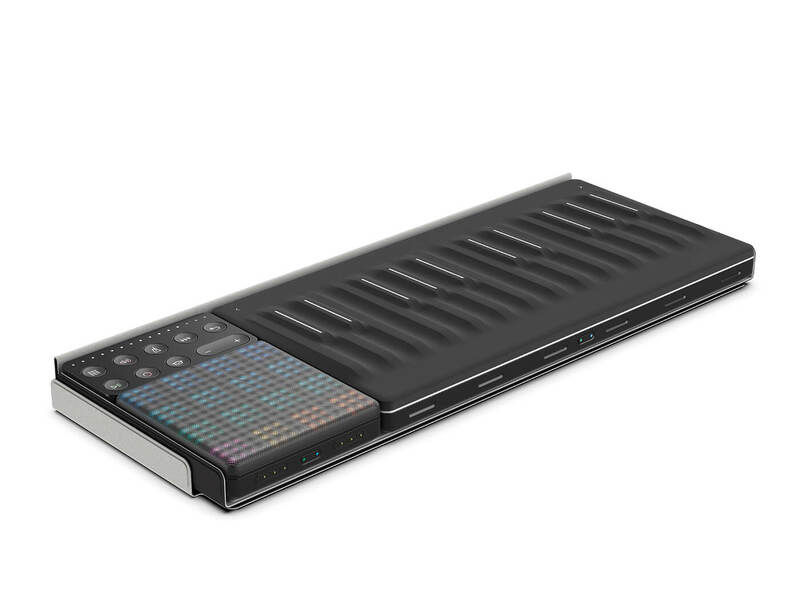 If you get easily frustrated with newer tech and doesn’t like to troubleshoot, then you may want to wait a few years before buying ROLI products. A Blocks Kit would be a great gift for any of your producer friends (wink wink) – including yourself. If the Blocks Kits feel like overkill, you could try a Seaboard. They’re a bit more straightforward, with a plug-and-play feel. You can use them with Equator in your DAW or in conjunction with the Seaboard 5D iOS app. Push has a lot of the same functionality and possibilities a Blocks Kit has. You can finger drum, as well as play music on an X/Y axis. Live doesn’t have MPE integration, but it’s still an expressive production instrument. 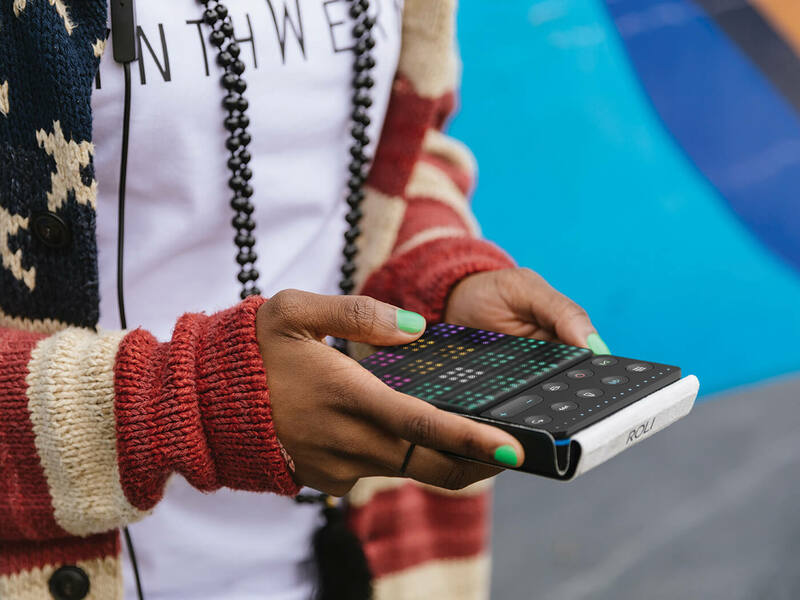 The ROLI Blocks Kits are cutting edge, sleek, expressive technology. You’ll have a really great time discovering the possibilities of tactile MPE control.